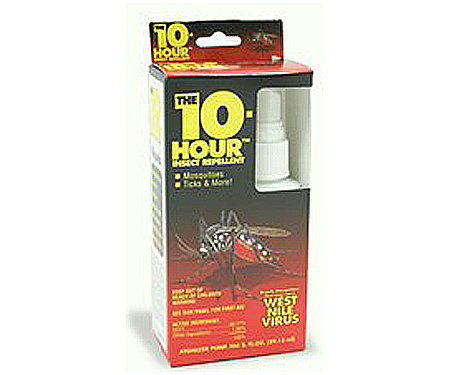 10 Hour DEET Insect Repellent non-aerosol pump spray repellent that provides all-day protection against a wide range of insects. 100% DEET formula won't sweat out. Active ingredient: Diethyl-m-toluamide. 2 oz. non-aerosol spray.